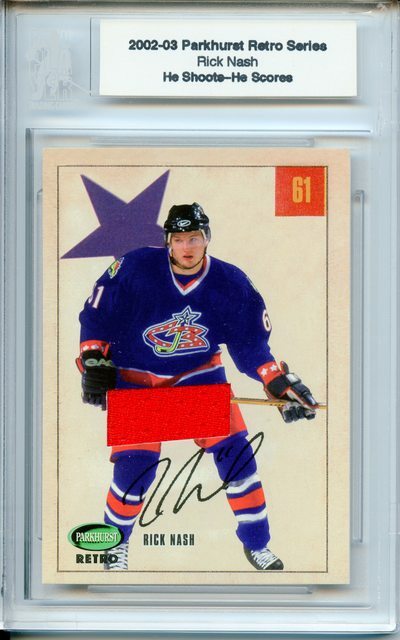 The 34-year-old forward last played in the NHL last season with the Boston Bruins. 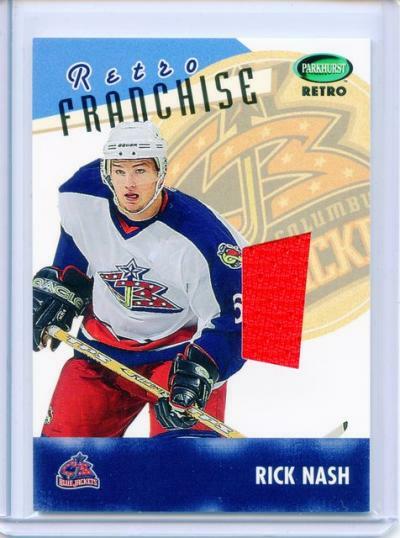 An eight-time 30-goal scorer, Nash had 805 points (437 goals, 368 assists) in 1,060 NHL games with the Bruins, New York Rangers and Columbus Blue Jackets, who selected him with the No. 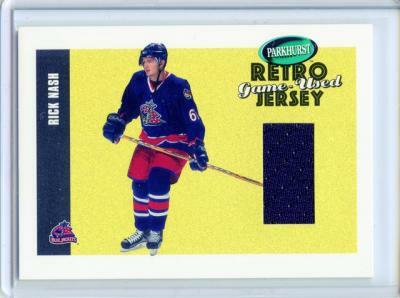 1 pick in the 2002 NHL Draft. Nash missed the final 12 games of the regular season for the Bruins in 2017-18 because of a concussion sustained in March. He returned for the Stanley Cup Playoffs and had five points (three goals, two assists) in 12 games. Before NHL free agency began on July 1, his agent, Joe Resnick, told NHL.com Nash was undecided about playing this season because of health issues and would not be accepting contract offers. Resnick told NHL.com on Friday that Nash was holding out hope he could play this season, but on advice of his medical team decided to retire. Nash, who won the Rocket Richard Trophy as the NHL's leading goal-scorer in 2003-04 (41), has 46 points (18 goals, 28 assists) in 89 NHL playoff games. He had a great career. 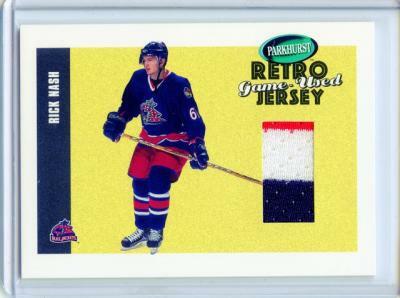 If anybody wants to show off some minty Nash cards, feel free! Congrats on a great career! I remember when we were all going crazy over his RCs in 2002-03. And now he's gone into retirement! He was a great player! Who doesn’t remember this goal! Great player. So dynamic with his movements for a bigger dude. It's a shame he couldn't play for another few seasons, but still a terrific career! 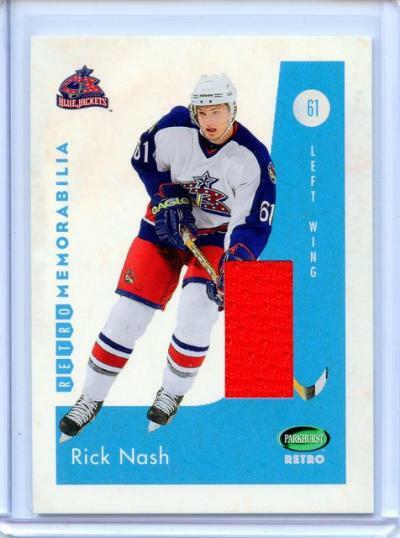 Maybe we should show off our Nash cards? This is the extent of mine. :) Most of you know I only collect one p.c. set for now. 2002-03 Parkhurst Retro. 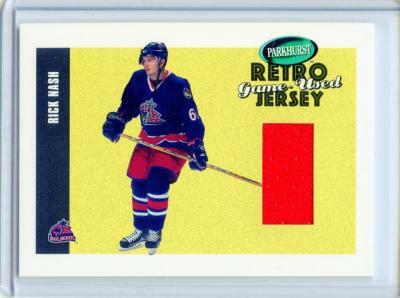 Nash featured prominently in this ITG release. 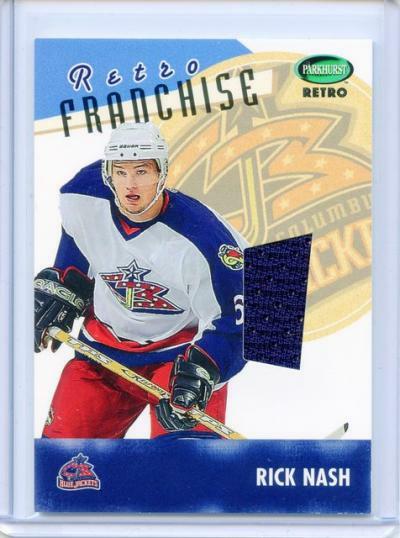 He was a great addition to the Bluejackets and help them create some excitement for a team that was not a traditional market. Too bad he did not get to finish his career injury free as he was a force to be reckoned with. Best of luck in retirement.